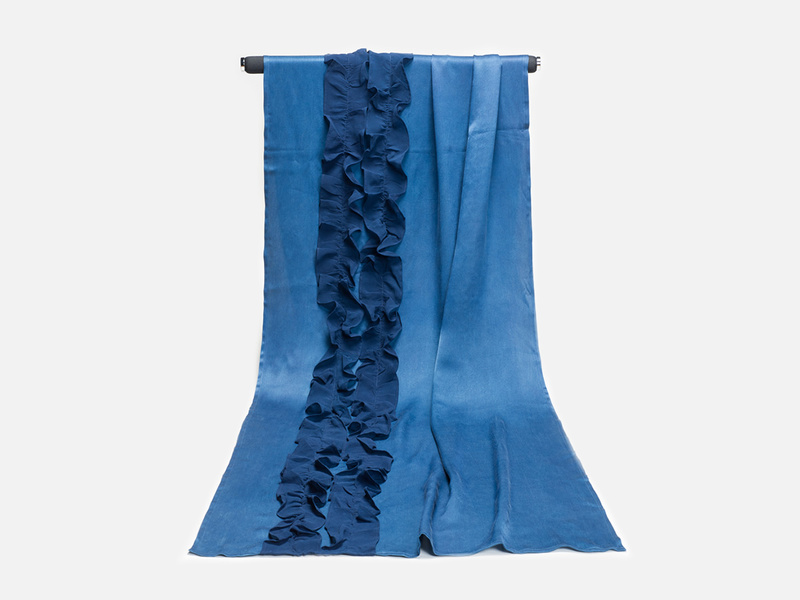 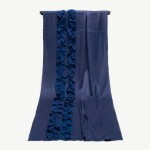 An indigo-dyed stole, using high-quality silk fabrics made in Como, known as a famous area of making silk fabrics in Italy. 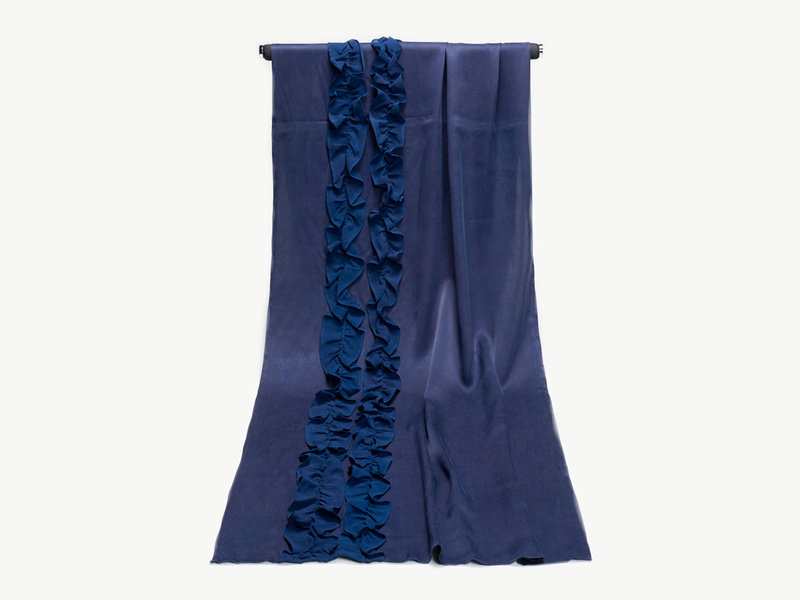 ISSO had an opportunity to display our indigo-dyed products on “Tokushima Week” at Japan Pavillion in Milan EXPO 2015. 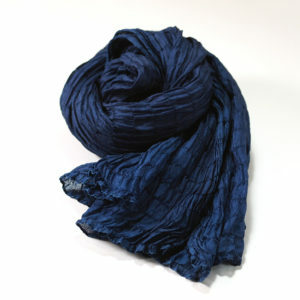 We considered to use the Italian (or European) local materials to let the visitors understand what “Japan Blue/ Awa-ai” is more. 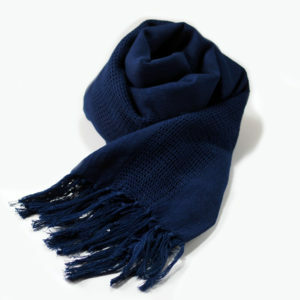 So, we'd tried to contact fabric factories or wholesalers in Italy to find a cooperator, and one silk fabric factory in Como responded to our offer and provided some kinds of their woven fabrics. 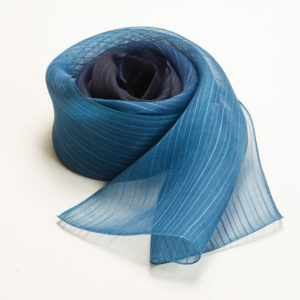 After the exhibition, we've produced stoles using the same silk fabrics as our high-class product.